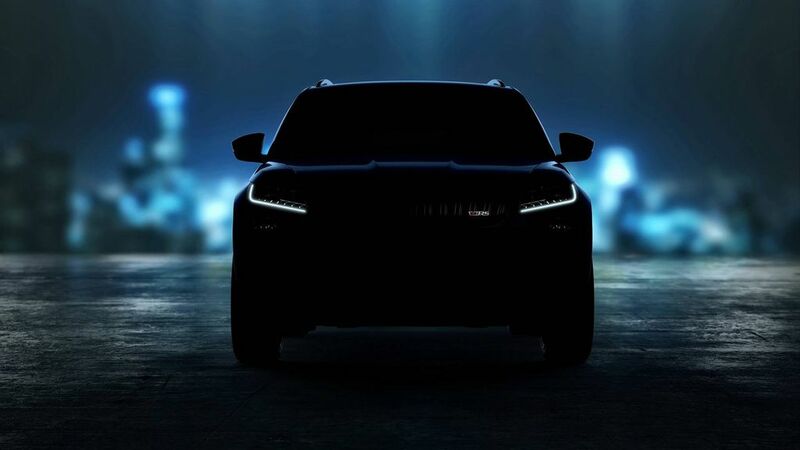 Skoda is going to introduce Kodiaq RS at the Paris Motor Show next month and the company released a new teaser of performance SUV along with some more details. The Kodiaq is the first SUV to get RS treatment from Skoda and it misses out on some signature RS features like a petrol engine and manual transmission. 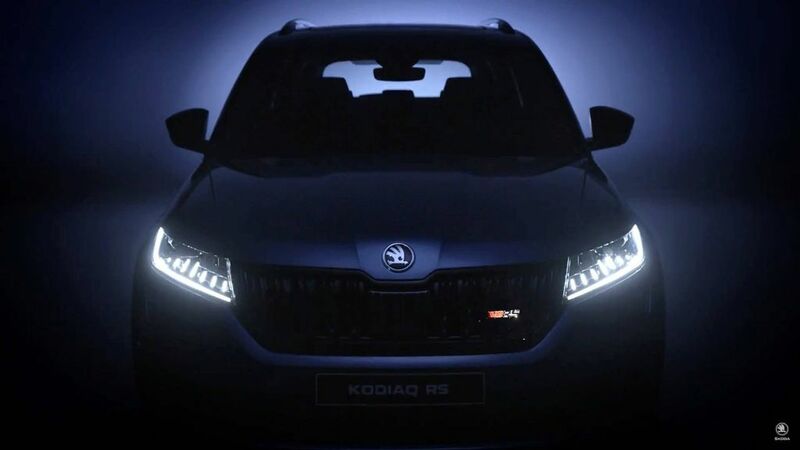 The Kodiaq RS is the fastest seven-seat production SUV at Nurburgring race track and the performance SUV is the first model from Skoda to come with full LED headlamps and digital instrument cluster as standard. 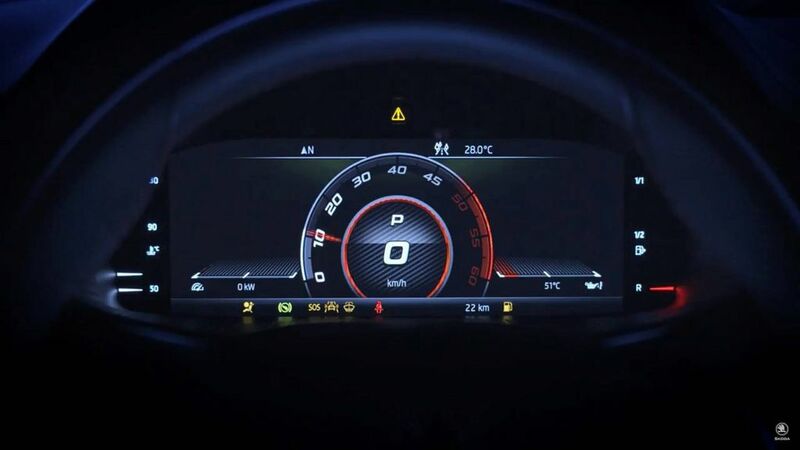 The virtual instrument cluster is highly customisable and in sport mode, the speedometer and tachometer are placed in the centre. One of the features we particularly not impressed on Kodiaq RS is Dynamic Sound Boost as the engine sound is artificially enhanced depending on engine mode and it is played through speakers inside the cabin. But most of the enthusiasts don’t like this and we hope Skoda will give an option to disable it. 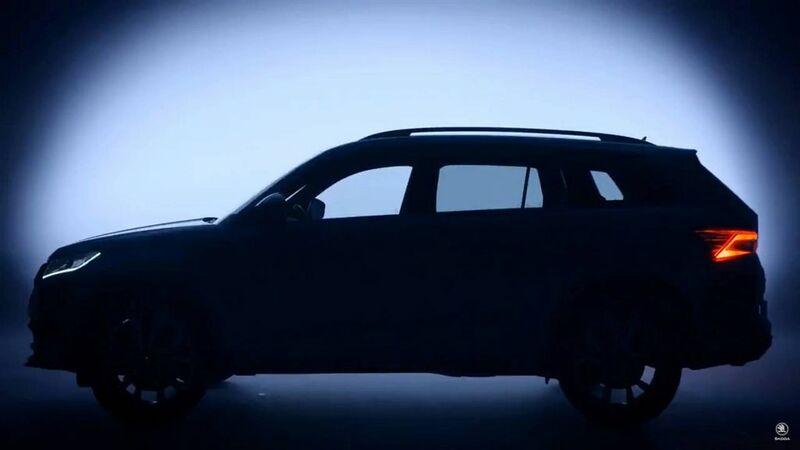 The teaser image also shows the red RS logo on the front grille and the overall shape is exactly similar to the regular model, but Skoda has made some changes like new front bumper along with body kit and tweaked LED tail lamps. Skoda has also given sports exhaust system and the RS variant has been lowered compared to the regular model. The suspension will be tuned for handling and it might affect ride quality of Kodiaq RS. The interior design will be the shared with the regular model and it will be finished in black colour, but the RS model gets new seats along with aluminium pedals and leather upholstery. Skoda is yet to reveal the diesel engine of Kodiaq RS. 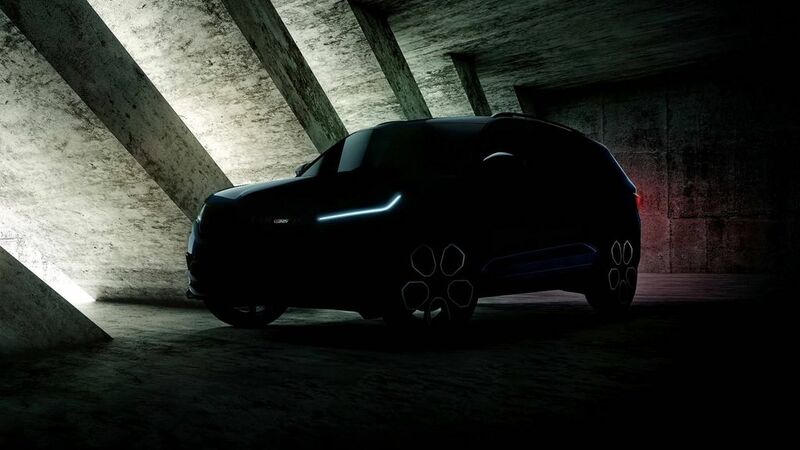 According to some reports, the Kodiaq RS will be powered by a 2.0 L four-cylinder engine from Passat as it produces 237 hp of power at 4,000 rpm and 500 Nm of torque at 1,750 rpm. This engine is mated to either 7 speed or 8 speed DSG gearbox and the four-wheel-drive system will be standard on the performance SUV.